Today I am going to review a very new product in my blog. 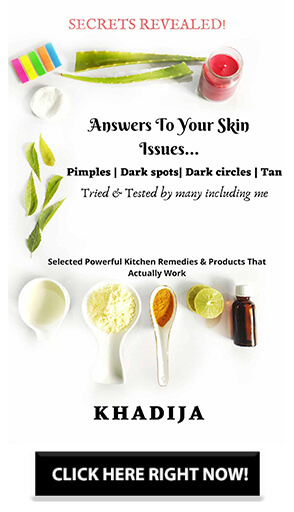 New to me and I have never reviewed any such product on my blog as well. So it’s the hand and nail cream from the brand called VKare. 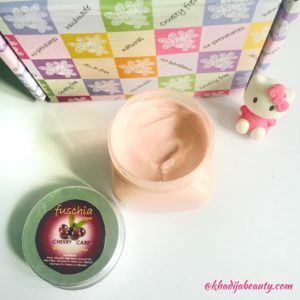 This cream is from their Fushcia skincare range. Honestly I have never used any hand cream and to be frank I always thought like why do we have to waste money by spending on a hand cream? Instead we can apply the lotion on our palm and hands and the purpose will be solved. If you have also been thinking like me then I would like to tell you that just like me you were also thinking in a wrong direction. Yes I felt the actual difference after using a hand cream. 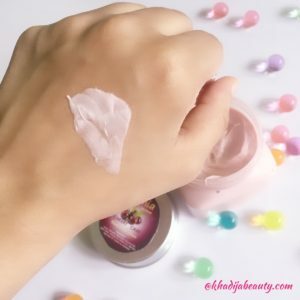 Thanks to VKare for sending me this Hand and nail cream?So let me get into the review and tell you giys my experience with this cream. A natural rich cream that checks premature ageing of skin caused by chlorine in water, atmospheric pollution and ill health. Keep your delicate hands moisturized with this Cherry Extract enriched Hand & Nail Cream. It is an ultra-moisturizing hand cream with deep moisturizing properties and a sweet floral elegant aroma. This hand cream immediately absorbs into your skin for long-lasting moisturize. This provides moisture on skin with a pleasant fragrance, skin feels smooth, supple and conditioned, is non-greasy and light weight. The first this I notice in any product is their packaging. I am more of fragrance and packaging person, if that’s good then automatically I get attracted towards it. So the packaging of this Fuschia hand cream is cute and attractive. It comes in a transparent plastic tub with an aluminium cap where the brand label is present. Packaging is simple yet good. The most exciting thing is that Fuschia hand cream is pink in color? and it looks so beautiful *yummy* in a transparent plastic packaging. This looked like strawberry ice cream to me. It’s the cherry care cream and may be that’s why it is pink in colour. 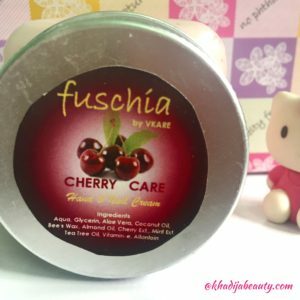 Now coming to the consistency, Fuschia hand cream has a medium consistency. It is very soft and creamy in texture and feels light after they are applied on the hands. And this is when I felt the difference between the normal lotion and a hand cream applied over the hand. 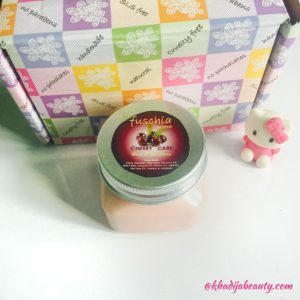 This Fuschia hand cream made my skin super soft after the application. It gets absorbed into the skin the next moment you rub it over your hand and it smells like a bubble gum. I loved its smell. I personally never dealt with dry hands and may be that’s the reason why I never felt like trying any hand cream. But now I am liking it and whenever I see it on my dressing table, I apply it. A small chunk of product is enough for getting soft and supple hands. One more thing I would like to add is when I received my sample, I read it wrong and mistook it as foot and hand cream? *please don’t judge me? I do such things* Then I guess for 2 or 3 days, before going to bed I applied it on my heels as well followed by socks. And to my surprise it made my feet also soft. And only after that I came to know through one of my friends that it’s actually Fuschia hand and nail cream not a foot and hand cream. But then yes I have found a new way to use it. Anyways I don’t mind using it as a foot cream because If used just for hands then they are going to last forever. No.Hand creams are for dry hands. Omg. This is a real and one of the bestest surprises I have ever recieved. Thank you so much for Including me in the list. It means a lot. I also thought like you before but now am changing my opinion too. Will give this a try?